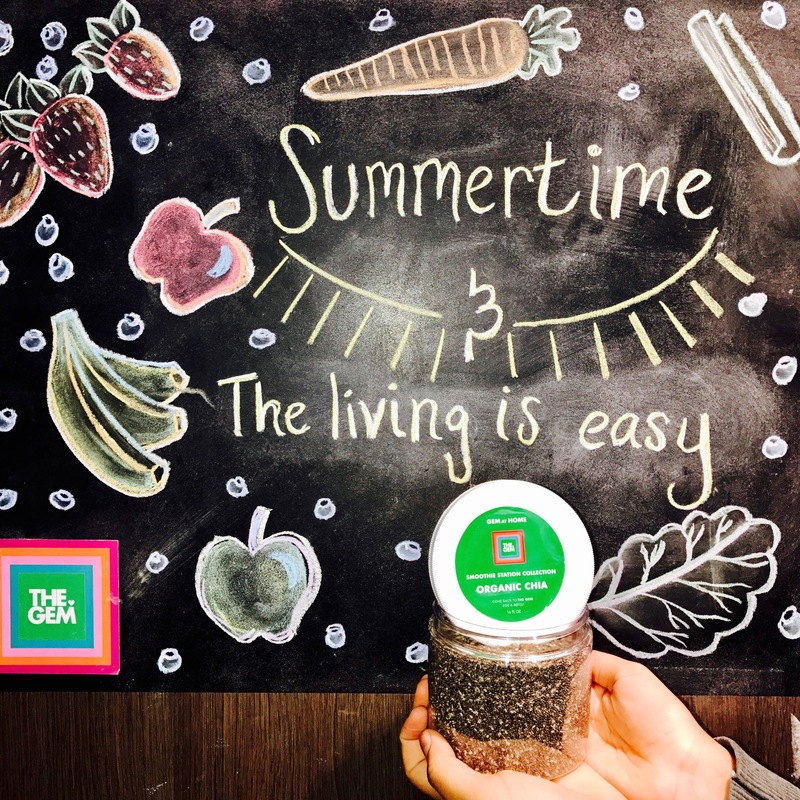 Superfoods, like chia, help us in so many ways – increased energy levels, protection against disease, slow the aging process – and finding a way to incorporate them into your daily routine is easier than you think. As we discussed in last week’s post, superfood supplements are a great way to add a healthy punch to your diet. Whether you are adding them to something you are cooking up at home with our GEM at HOME collection or picking something up at The GEM, the benefits of these mighty GEMS will put a little zip in your step and do your body some good. Last week’s post covered all things good about Maca. This week, we are going to talk about chia, as in Ch-ch-ch-chia! It is that same little seed as those weird little ceramic animal planters on the infomercials! Chia seeds are loaded with the most essential fatty acids of any known plant. STRONG: Chia means “strength” in the Mayan culture, creating sustainable energy for those who consume it. AT HOME Application: Chia seeds are tasteless. Blend them into smoothies without anyone even noticing! Add the seeds to oatmeal, smoothies or make chia pudding if you are so inclined! GEM Life Application: Super Sapphire Smoothie already contains it. Or add into any smoothie for a creamier drink or into your juice for a little extra panache. Next week, we wax poetic on the virtues of Hemp. But until then, remember to bring The GEM goodness home! 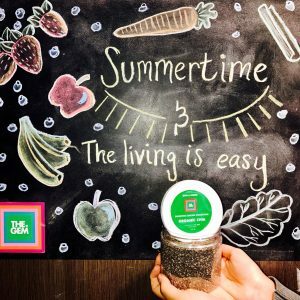 This entry was posted in Health, Supplements and tagged benefits of chia, chia, GEM at Home, healthy eating, healthy living, organic smoothies, smoothies, sullplements, Super Sapphire, superfood, superfood supplements, Superfoods on June 12, 2017 by diamondsonyourinside.